The name Crossmax has a long history in the world of XC riding and racing. This Tubeless Ready wheelset lives up to its name with many of the same features and technologies as pro-level XC race wheels, but at a far more attainable price. One of the key factors is our UST technology, which allows for easy setup of tubeless ready tires and gives you all the associated benefits including better traction and control, a smoother ride quality and a reduced risk of punctures. The rim design features a 25mm internal width with a hookless profile, a sensible setup for tubeless XC tires. The wheels are built with 24 straight-pull spokes to save weight and maximize wheel strength, so you get just the right balance of efficiency and durability. Power transfer is handled by our new ID 360 freehub, which is compatible with all common axle standards. Efficient, strong and reliable XC performance. New wider (25mm internal) sleeved rim design is lighter without compromising strength. 24 straight-pull spokes ensure optimum stiffness and reliability. Smoother ride, increased traction and a reduced risk of punctures. UST design and tubeless rim tape makes it easy to set up tubeless ready tires. 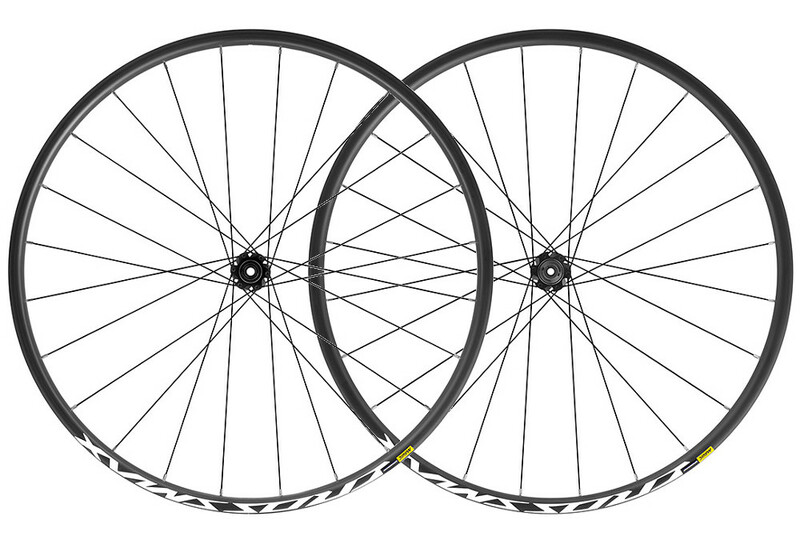 Trickle-down technology from high-end Mavic XC wheels. Reliable ID 360 freehub system and lightweight rim design.